Underwood’s jewelry is made to last a lifetime but proper care and cleaning is essential to keep it looking beautiful all the time. Everyday tasks such as cleaning, kitchen work, and even applying lotion or hairspray can dirty up jewelry quickly. 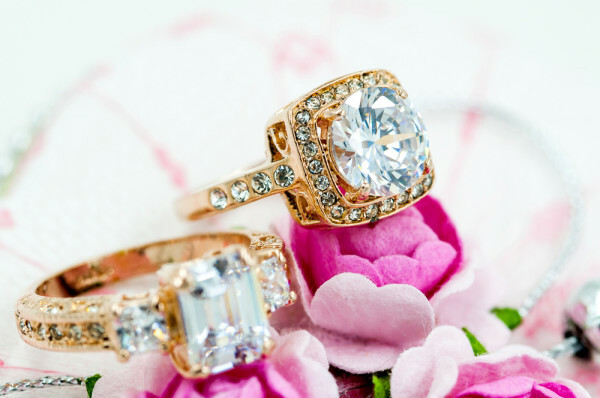 Cleaning jewelry regularly will keep it shiny and reduce the amount of buildup from everyday wear. Keep in mind that different metals and stones require different types of cleaning so make sure you’re using the best method possible for your jewelry. You can always use commercial jewelry cleaners, like our Underwood’s branded cleaner, or you can try out some at-home methods. It’s also best to use a jewelry polishing cloth because the fibers in paper towels and other cloths can cause small scratches on the surface of your jewelry. As silver sits it begins to tarnish and become dull and discolored and sometimes develops a film on the surface. For mild tarnish, the easiest method is to mix a few drops of mild dish soap with some warm water and dip in a soft cloth. Gently rub the jewelry, rinse it with cool water, and buff it with a cloth to dry it. Mix a few drops of mild dish soup in a small bowl and place the gold jewelry in the bowl. Let it soak for 5 minutes and then pull each piece out and go over it with soft toothbrush. Rinse with cool water and buff dry with a soft cloth. Diamonds can also be cleaning with a mild dish soap or detergent. Just dip a soft toothbrush in a mix of soap and water and brush it clean. Rinse with cool water. A mixture of warm water and shampoo cleans pearls best at home. Dip a small makeup brush into the solution and gently go over each pearl. Rinse with cool water and and lay them on a clean cloth to dry.